What a excellent service from Tan today. Would recommend Tan to anyone who wants to recieved a brilliant job done to their vehicle . Very friendly and polite also reliable.110% job well done.Thanks very much Tan. I contacted ChipsAway, and their local person Tan Likiliki, quickly got in touch to assess the scratch damage. He was very helpful and even managed to fit in an early appointment to complete the work. His work was excellent and the price was very reasonable. I am delighted with the way he dealt with this. I would certainly recommend him to all my friends. A really nice guy named Tan (Salisbury) worked on the car today and did an EXCELLENT job. I was very impressed with Tan and his work i would recommend him to anybody. Tan made the whole quote and booking process very easy, turned up exactly when he said he would and the repair is genuinely perfect! Happy with the work that was carried out, it's as good as new! Happy with the price and a lovely technician which is a bonus! Thanks so much Tan! ???? I was highly impressed with Tan from Chips Away. Very friendly and polite, efficient and on time. I would definitely recommend your services to all. Very happy with the results. Thank you. Tan is friendly, knowledgeable and very professional. No hesitation in recommending him unconditionally. I was absolutely delighted with the job Tan did on my car, it was a real pleasure to deal with someone who did exactly what was quoted and clearly cared a lot about his work. Tan was excellent! He arrived on time; explained exactly what he was going to do; and kept me informed throughout! We had 'keying' on two door panels; damage to the rear boot lid; and damage to the front bumper - all renovated immaculately. An outstanding service. Thank you. These guys know what they are doing,first class job. Very happy. Tan Likiliki did an outstanding repair job on my sisters Vauxhall Corsa and what a thoroughly nice guy too. I would recommend him to anyone. Thanks, Tan you did a brilliant job!! Tan Likiliki did an excellent job repairing a scrape and dent on the rear wheel arch of my Ford Galaxy. I was a bit sceptical as I had not used chips away before but I need not have been concerned though, Within an hour of emailing Chips Away I had a response from Tan and within 24hrs a quote for the work and a date and time for ... Read more the work to be completed. Tan turned up on time and carried out the work to a very high standard, in exactly the time quoted, and I honestly couldn’t see where the damage had been. I have no hesitation in highly recommending Tan if you are in the Andover or Salisbury area. Recently had work completed by Tan in Andover He came out to estimate for the work -arrived on time ,and quote was competitive. We agreed a time and date to complete the work .He arrived on time and carried out a very proffessional job to a very satisfactory standard . Would highly recommend Tan in the future. Value for money, genuinely trustworthy and easy. Workmanship excellent. I heard about Tan through word of mouth. I asked for recommendations and 3 unrelated friends immediately replied with his details. Can't say fairer than that. Tan arrived on time and made an excellent job of repairing my car's scratched bumper. Paperwork was quickly completed and Tan's manner was one of cheerful efficiency. Professional job! Had some nasty kerb/wall scrapes on the corners of my silver Peugeot and was not at all confident in my own ability to repair them, so contacted ChipsAway online for an estimate. Taniela was in touch the next day to arrange a visit and quote for repair. Despite being very busy due to the inclement weather, Tan was around a few days ... Read more later. A very efficient service from a lovely friendly man. Quote emailed through almost instantly at a reasonable price for the job and once accepted, a choice of dates/times presented to carry out the work. Communication excellent throughout. Tan duly arrived (early) and set-to, seemingly happy in his work. Took somewhat longer than planned (maybe Tan being a bit optimistic) but never any question of rushing the work and the finished job was stunning; perfect colour match and smooth as you like! Invoice duly arrived by email and paid without hesitation. All-in-all a pleasing experience. Wonderful wonderful...Tan the technician that did the work is a credit to the company from the moment he quoted for the work to completing the job. Tan Likiliki is a superb technician. His work is faultless; the consummate professional. I would highly recommend him to anyone in the Andover area. Tan Likiliki completed a repair for me on 15 June 2018. Excellent service throughout the entire process. Great communications, punctual and first rate workmanship. I would highly recommend Tan to anyone in the area. It was a pleasure to have him here and I'm completely satisfied with the quality of the work completed. Tan Likiliki - Carried out a paint repair on my car today after someone left me with a scratched front bumper in a carpark. Tan was professional from start to finish and within a few hours it was pristine and looking like new.. would definitely recommend and wouldn't hesitate to use again.. Many thanks Tan. A very professional job, car looks as good as new. Tan took his time to ensure a thorough job and made sure I was completely happy with the work done before he left. Would have no hesitation in recommending Tan to anyone. Great service and professionalism. Thank you Tan!! Tan has done an excellent job and I am pleased with the work on my Range Rover Evoque. 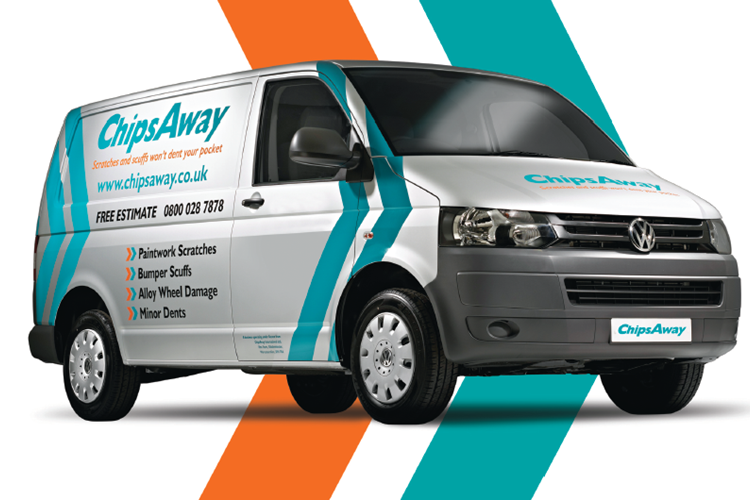 I have just had my car repaired by ChipsAway. Tan came to the house and spent all day on two separate areas that were damaged. I couldn't be more pleased. Very impressed and car looks like new again! I thoroughly recommend the company. Thank you Tan. A superlative job done on the front wing of my Mazda CX3. I'm well chuffed with the repair, and it's all down to the great work of Tan The Man. Thank you to Tan Likiliki of ChipsAway, a service I would wholeheartedly recommend to anyone with a scratch or a dent. We have never needed Chips Away until recently and suddenly, owing to the carelessness of others, we have needed them twice in 3 weeks. We have been fortunate to have the services of Tan on both occasions. We were bowled over by his skill, attitude and care on his first visit and we are delighted to be able to state from first-hand ... Read more experience that his exceptional performance is actually his normal standard of work. He has done it again. Unsurpassable and recommended with 100% confidence. Leave it to Tan and your car really is in good hands. I kerbed my matte black alloy and contacted several firms for a quote - Tan at ChipsAway responded almost immediately with a very reasonable quote. He arrived this morning at the agreed upon time and was very friendly and polite. The end result was fantastic, the alloy looked brand new with zero hints anything had ever happened to ... Read more it. I highly recommend Tan and will do so to everyone I know. 10/10. From initial speedy response to my online enquiry, to quoting and then carrying out the work, Tan has been professional and reliable. The repair is amazing and I cannot detect where it was now! A good job at a much better price than any garage would have charged. Conveniently carried out in the car park at work avoiding any need for ... Read more me to be without my vehicle. I would recommend Tan without hesitation. Very professional with excellent work and customer service. Would have no hesitation in recommending them. Great service by Tan who done a great job in awful weather. Tan was the operator that came to me he done a fantastic job on the two panels that were damaged, he even found evidence of a previous accident damage which he fixed at the same time. He was very friendly and professional. I honestly can not praise him enough, 10 Stars. Never used Chips Away before, but will use again, so convenient. Tan turned up on time, only had to supply a socket for compressor even brought his own tea! finished within in the allotted time. Excellent metallic paint match for VW Bora, no fuss and no mess. All round a stress free experience. Excellent service throughout from thorough inspection and quotation to completion of the job at the time promised, all to my total satisfaction. very happy to recommend Tan's services.